°o° Mousin It Up! BLOG °o° Mousin It Up! PODCAST °o° email list at Yahoo groups °o° WHATS NEW? MOUSIN' IT UP SINCE 1997! 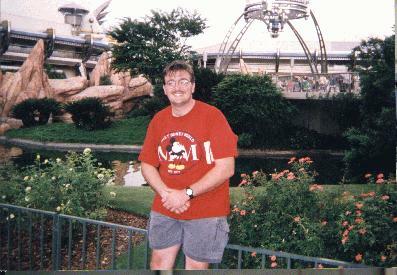 Site Update list on Yahoo groups, If you listen to Big Brians Disney Podcast, follow Walt Disney World: A History in Postcards, or want to know when my trip reports get updated, here's a email group for you. the wallpaper on this page is made up of images of Walt Disney World Tickets and the cover to an annual pass folder. I am not a member of the Disney family nor do I work for the Walt Disney company. Disney, Disneyland, Walt Disney World ,and many other things mentioned and shown on these pages are copyrights, trademarks, etc. of the Walt Disney company I do not work for, own, or represent them.